A renowned accountancy and tax planning company based in the United Kingdom, DNS started as a passionate venture in 2005 and has added numerous trophies to its shelves in the years following its inception. DNS is most popular in England for its tax, accountancy and consulting services to established and developing businesses, contractors, start-ups and freelance traders. The team at DNS has been delivering highly satisfactory services backed by dedicated professionals since as early as 2005. DNS Accountants started off in the year 2005 as a traditional but promising accountancy business. DNS rapidly developed from a one-man initiative into an award-nominated accountancy firm with its own cloud-based online accountancy software to make record keeping by clients easy. In 2007, the practice moved into a humble office space. It gradually developed into a Full-Time Accountancy Service firm with its two employees working day and night to make it big in England’s business community. The passion, integrity and dedication of these two led to the formation of a strong core team and acquisition of numerous clients. By 2012, DNS Accountants had exhibited rapid growth in the context of revenue, clients, and business outreach in the UK and overseas. Boasting of an efficient customer care center, the operations team at the accountancy and tax department was developed to be specifically friendly and cordial to clients. DNS even launched its own cloud-based online accounting software to give customers the freedom of accessing their accounts from the comfort of their homes. A head office was established in Harrow in North West London. The man behind DNS Accountants has been rightly acknowledged by the business world. Sumit Agarwal was declared the winner of the Young Entrepreneur of the Year Award in 2012 by the Indo-British Business Forum at House of Commons. In 2013, DNS Accountants was nominated for 4 awards in The British Accountancy Awards out of which we bagged the award for Best online Accountant. 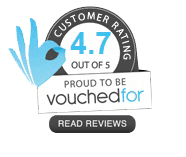 DNS Accountants has been a level one competitor against the other accountancy firms of England since its formation in 2005. Awards and recognition haven’t stopped flowing in henceforth. We now have several branches and an employee base of over 90. We also have 4 Founder Franchisees resulting in what can be termed as an enormous and successful team of tax accountants and chartered accountants in Swindon. What is the Business Scenario in Swindon? The Honda car production plant, BMW/Mini, Dolby Labs, Halcrow are the major business industries in this vast town located in Wiltshire in South West England. Intel’s European Head Office is situated in this city. Various world famous insurance, financial and investment companies have major offices in Swindon. Swindon also houses the UK Space Agency headquarters. Various research labs and naval docks have also set up their offices in this major business town. You should choose DNS because we give a lot of importance to our clients, Team members at DNS will go to any lengths to solve a customer’s problems. 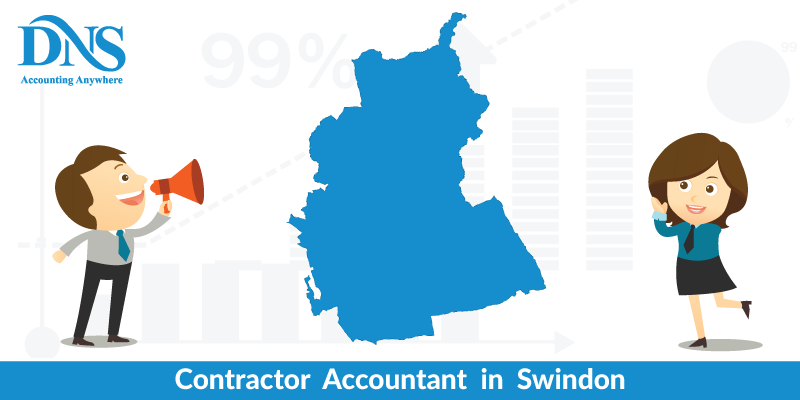 We offer some of the best Tax Accountants, Online Contractor Accountants, IT Contractor Accountants, Chartered Accountants and Small Business Accountants in Swindon. Greatly positive reviews are what motivate our team to work ever so hard to ensure flawless services. To allow its business start-up clients to focus on recruitment, sales and implementation of their plans and ideas, DNS takes care of all the financial and legal aspects of the new business by putting expert and proficient tax accountants in Swindon to work relentlessly besides the client. We provide the following services to maintain and supply the start-up customers with quality service: Business Growth System, Accounting Compliance and Tax Advice, Dedicated Account Manager and Smart Cloud Software. Preparation of end of year accounts is often a tedious and challenging task for a company. Meeting the deadlines set by Companies House and HMRC for receipt of the end of year accounts is often stringent with fines being levied on defaulter companies. DNS takes the load off businesses and individuals to prepare the end of year account on time and meet this deadline. DNS ensures that the accounts report created reflect the figures of the firm accurately by maintaining the records all throughout the financial year. Also, DNS devises strategies for the clients as to where savings can be made from the allotted budget for the next year. Initial data is gathered sales invoices, receipts and bank statements along with VAT returns and PAYE statements. The data is compiled and rechecked for correctness with received data. Reconciliation of all accounts is done. The accounts are finalized and send for review to the company. After the thumbs up from the company executives, the account is filed. Management Accountancy differs from financial accountancy. Management accounts are maintained to ensure that future ventures of the company are implemented with maximum efficiency and accuracy. The focus is on keeping records of the management related matters of various departments in an organization. Maintaining past records helps better planning and proposals in the future. Financial Accounting focuses on the entire company as one entity. The Management Accounting Service at DNS is to enable clients to hand over the operations department accounts to our small business accountants in Swindon so that we can act as an intermediate Managerial Accountant and suggest improved strategies to better maintain the departmental accounts.